Closed Toe and a classic T.Strap styling. Full grain leather upper. Leather sole and top lift. Fully leather lined. Cushioned suede socklining. Extra sturdy full breasted 2-3/4 inch heel for professional quality support. 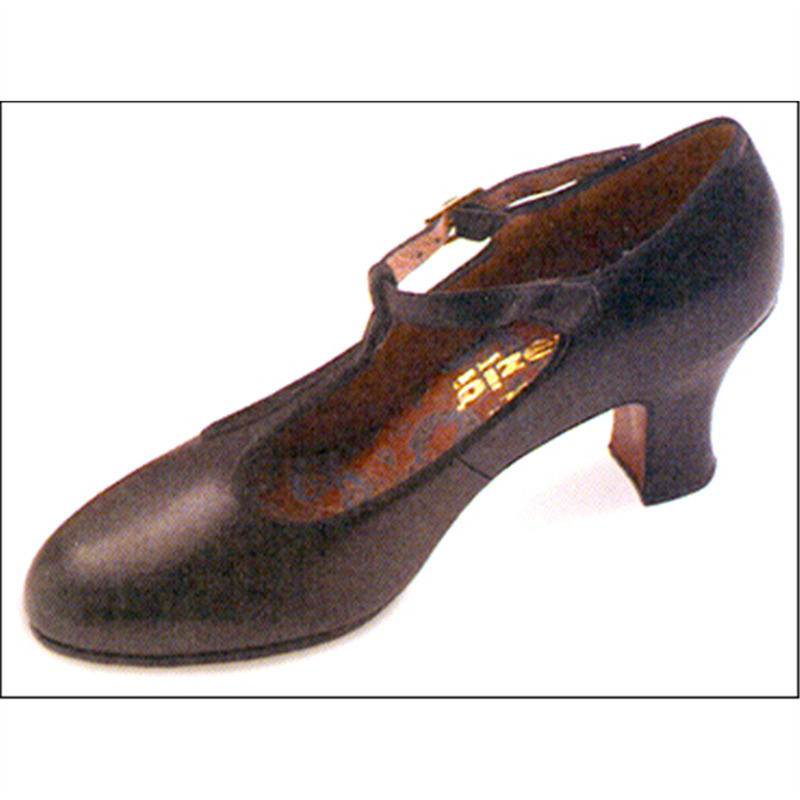 Worn as a character or as a tap shoe. Taps not included.